Keep your wheels looking good with our superior garage service, or get a new set of PVD chrome wheels in your preferred PVD chrome finish in exchange for your factory finish or aftermarket wheels by taking part in our industry-leading O.E.M. wheel exchange program. We schedule customers to bring in their vehicles on a Monday. Once the customer drops their car off, we perform a "full-service package" where we dismount their wheels, refinish them in whichever PVD chrome finish they choose and remount them. We also offer "blackout packages" where we remove chrome accents on the vehicle. Finally, we also offer window tint services. We then send photos of our finished work to the customer and have their vehicles back to them on Thursday or Friday of the same week. We strive to meet every customer’s service request in the most professional way to ensure 100% satisfaction. Our dependable garage services will keep your car looking great on the road while saving you money. 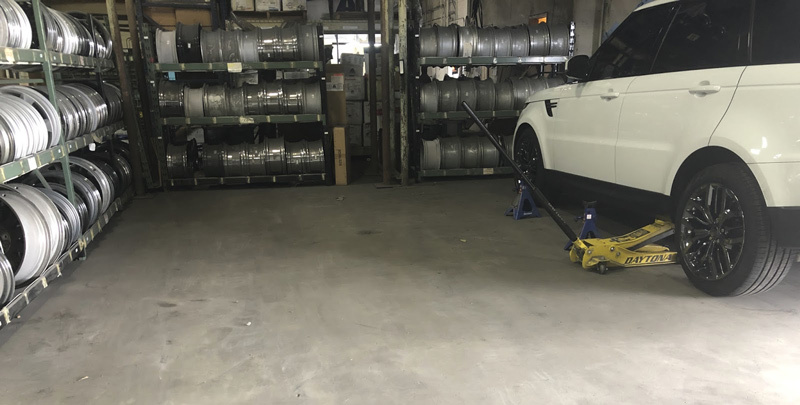 Whether you’re dealing with wheel issues like curb damage, a bent wheel, finish failure, a cracked wheel, or other forms of damage, you can count on our custom wheel services in Los Angeles. Have any questions about our garage service? 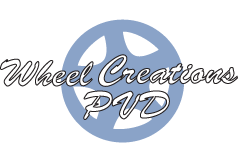 Need help selecting the right wheel size for PVD chroming or want to join our wheel exchange program? We have a dedicated support team ready to assist you. Call us at (562) 381-2670 to discuss your needs.